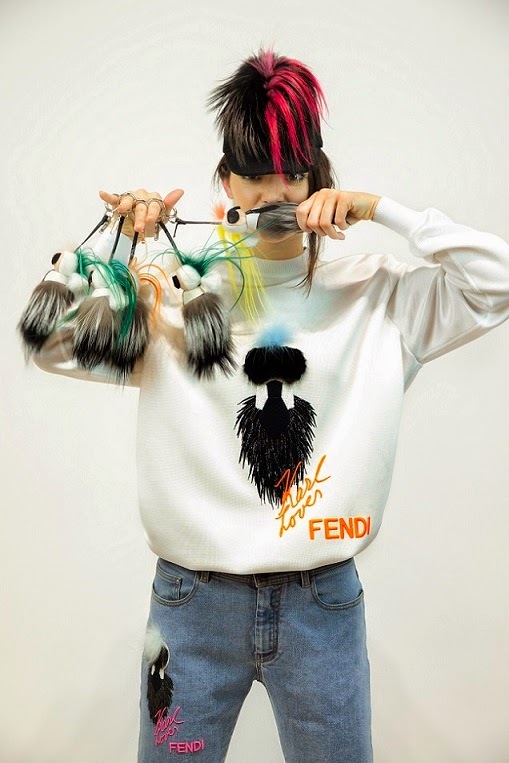 mylifestylenews: FENDI KARLITO Limited Edition Capsule Collection @ WHERE IS KARLITO? FENDI KARLITO Limited Edition Capsule Collection @ WHERE IS KARLITO? FENDI KARLITO Limited Edition Capsule Collection WHERE IS KARLITO? With his fun, colored fur crest, Karlito lands now for the first time on FENDI ready-to-wear and accessories, after making his debut on the FW2014/15 fashion show catwalk of the Roman Maison. Now he's back with an exclusive limited edition, eye-catching capsule collection which is both ironic and sophisticated, fusing fur with denim and sportswear in a playful yet luxurious way.